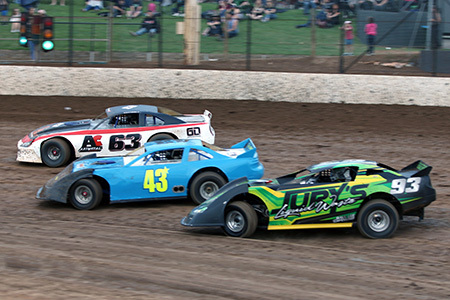 Six racing categories ranging from the awesome V8 Super Sedans to the open wheeled Formula 500’s will take to the track this Saturday night at the Murray Machining and Sheds Murray Bridge Speedway. In all over 70 competitors have nominated to compete with some of the best drivers from across the State leading the entry lists for their respective classes. After a short break the Super Sedans return to Murray Bridge with Paul Blenkiron looking for his second consecutive feature event after his recent win at the Whyalla Speedway. Kym Jury will be another driver to watch, as he has at MMS feature win to his credit this season, along with Jason Gantz, veteran Robbie Marchant, Whyalla’s Michael Brown and Steve Schwartz. For the first time this season Car Owners Rob Stevens and Jenny Lemar will have three cars on track with Mick Brougham, Adrian Wright and Robert Uren all nominated. Despite the Australian Title fast approaching a good field of Street Stocks will be on hand and they will all be chasing Nigel Reichstein, who is having a tremendous season. Carey Weston looks most likely to challenge along with Ben Whitehead, Corey Sandow, Darren Flatman and Phil Watson. 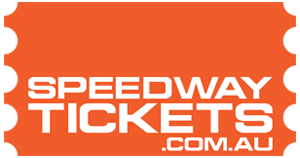 In the final of the Sedan categories, the Junior Sedans, Drew Flatman will enter the event full of confidence after his win last Saturday night at Waikerie although he was challenged by Sharni Pitcher. You can also expect to see Aaron Tranter and Chelsea Gwynne up towards the front in the 14-car field. A field of 9 Modlites will be in action with Brook Alexander being the inform driver having secured the last two feature events state wide with victory at MMS prior to his win last weekend at Waikerie. Several leading drivers will make a return to class including Danny Prade, who missed last weekend while Graham Knuckey was a scratching from the last Murray Bridge event. Brian Chadwick, Michael Cowland and Justin Chadwick should also contend for the win in the fastest to rear A-Main. Following their State Title, the AMCA Nationals make a return with a strong line-up of local cars including Jake Armstrong, Jason Robinson, Kelsey Allen and Lachlan Gwynne while the Formula 500’s will provide some “winged” open wheeled action with close to a dozen cars including Lockie Cates, Ross Miller, Dean Cottrell, Corey Jones and Brendan Zadow.